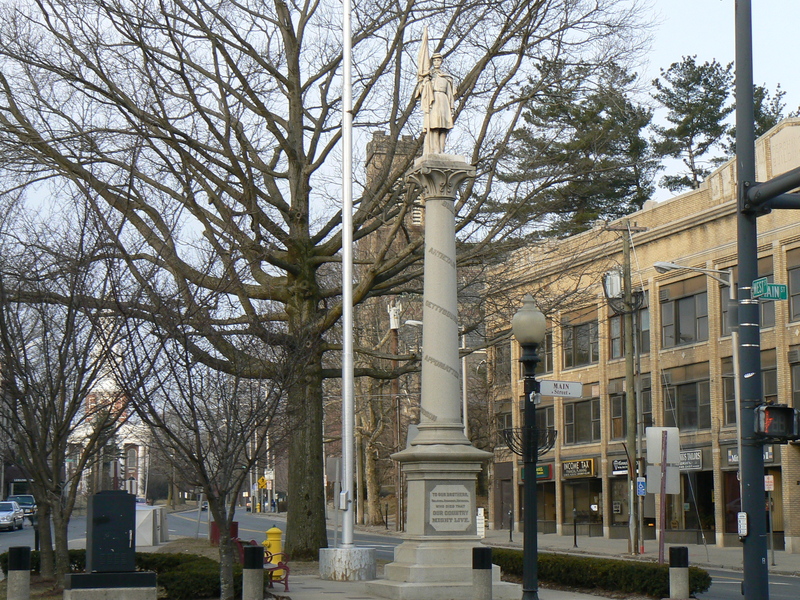 The Soldiers’ Monument at the corner of West Street and Main Street in Danbury was dedicated in 1880 to honor local Civil War heroes. 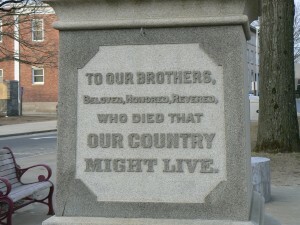 The monument differs from the Civil War monuments in other Connecticut towns in a number of ways. 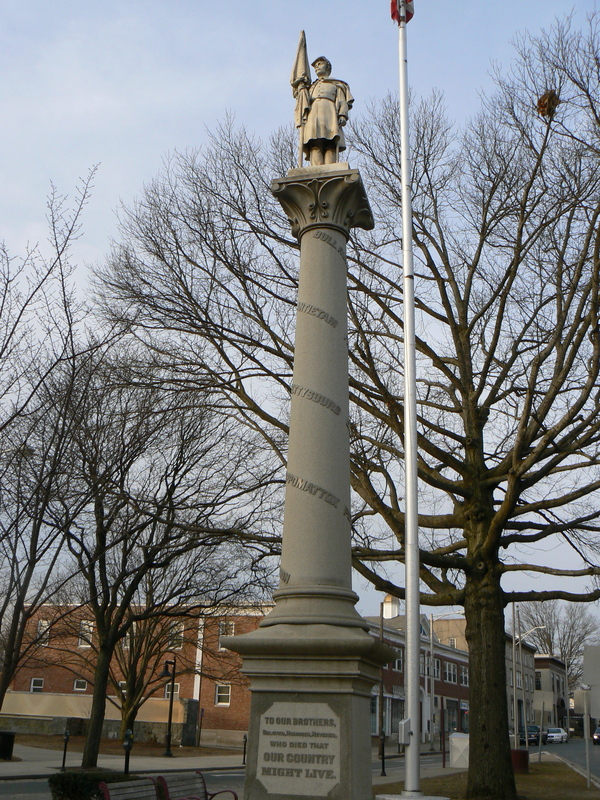 First, it features a round column, instead of the more-common four-sided, pointed shaft. 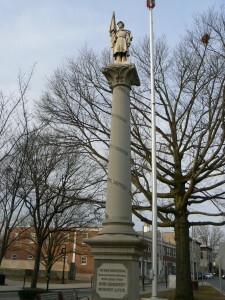 Second, the standard-bearing figure topping the granite column was carved from Italian marble. Additionally, the highlighted battles are listed in a spiral pattern that starts from the base of the monument and scrolls up to the decorative details beneath the standard-bearer’s platform. 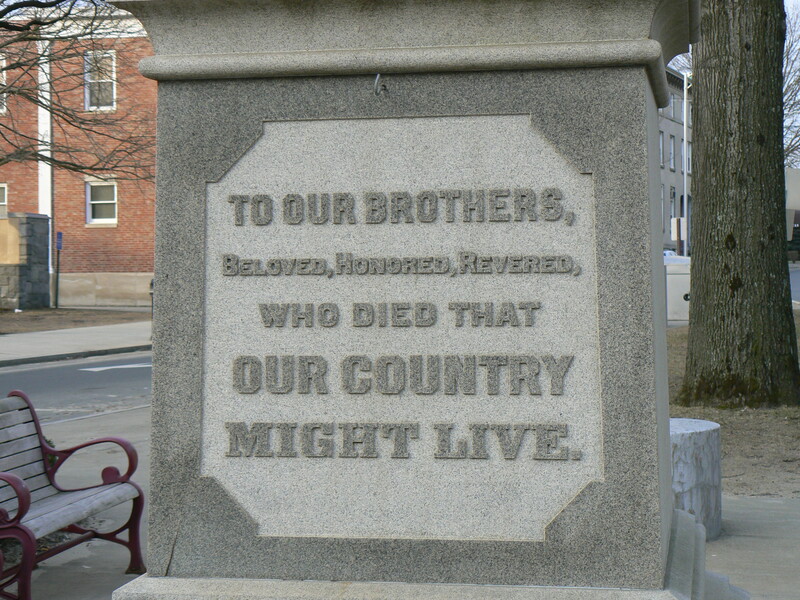 On the column, the monument lists the following battles: Bull Run (near Manassas, Va.), Wilderness (near Spotsylvania, Va.) Antietam (Sharpsburg, Md. 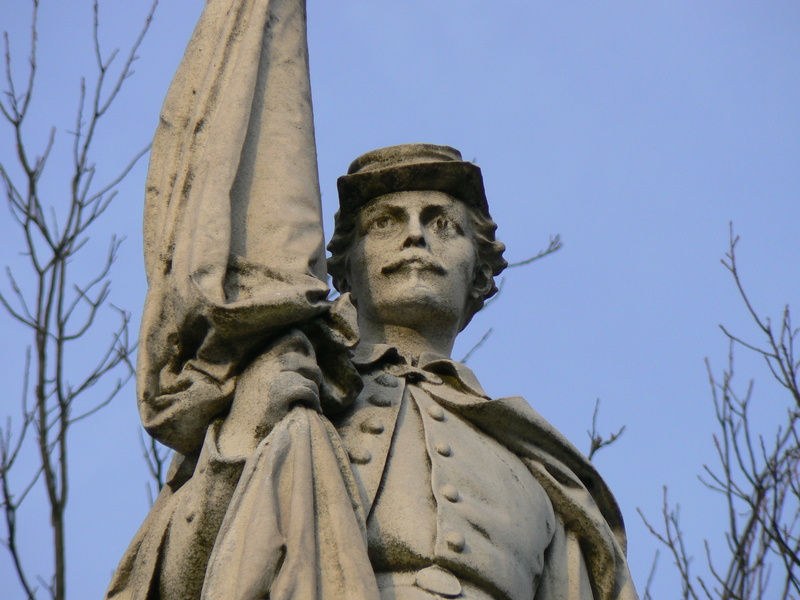 ), Fredericksburg (Va.), Gettysburg, Chancellorsville (Va.), Petersburg (Va.) and Port Hudson (La.). 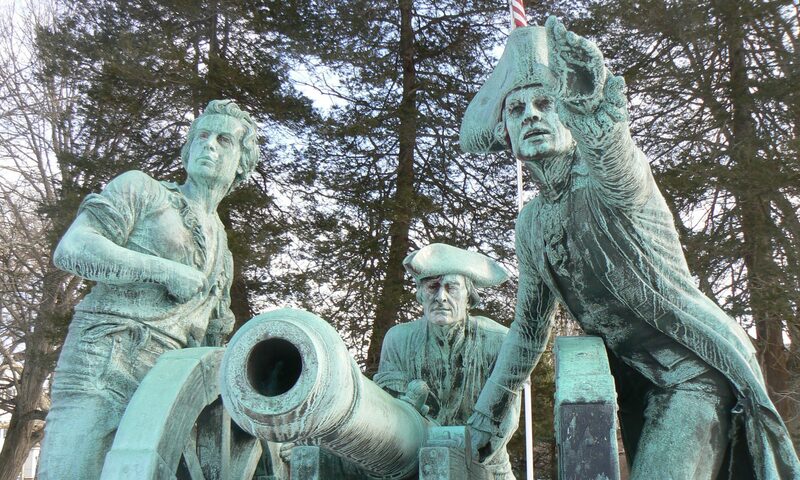 Since the battles don’t follow chronological or alphabetical order, we’re not sure how the sequence was determined. 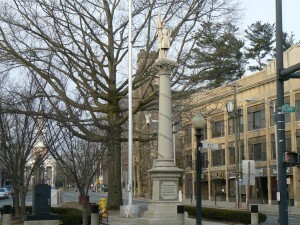 The monument sits in a small triangular park that also features a flagpole, a decorative lamppost and tasteful shrubbery along its West Street sides.